All Bandula Surfing School customers must reconfirm their bookings with Bandula Surfing School via Email & fill out the booking form of Bandula Surfing School before the lesson starts. Bandula Surfing School reserves the right to postpone or cancel any adventure due to any natural disasters such as; floods or humongous, gigantic waves. 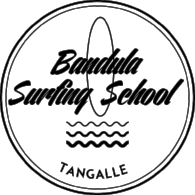 Bandula Surfing School 100% surf guarantee only applies to lessons and training and this part will be refunded if Bandula Surfing School fall short in their instructions. Bandula Surfing School recommends booking at least 14 days prior to commencement, subject to availability. All Bandula Surfing School prices are in USD. Bandula Surfing School recommends that all persons take out full comprehensive personal travel insurance (that includes surfing) as whilst all care is taken, Bandula Surfing School is not responsible for injuries or medical expenses, personal accident, non-refundable tour costs, loss or damage of property/equipment whilst traveling with Bandula Surfing School. We do not take responsibility for loss or damage of your personal property no matter how caused. All surfing participants must be able to swim for at least 50 metres unassisted. Bandula Surfing School itineraries are subject to change.